As an internationally recognized expert in facial paralysis surgery, Dr. Azizzadeh has been invited to The Doctors TV Show numerous times. 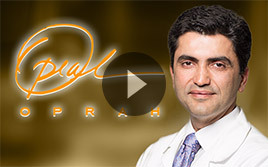 Below you will see Dr. Azizzadeh and the patients he has helped on The Doctors. It has been wonderful to not only help these patients smile again, but also a great honor to be able to educate people around the country through such a great and informative TV program. 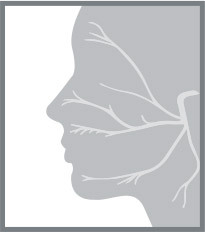 Kalli is a young facial paralysis patient. She has already had Stage 1 of her procedure in which Dr. Azizzadeh took a nerve from her ankle and attached that nerve to the normally functioning side of her face. In Stage 2, Dr. Azizzadeh will perform the gracilis muscle transfer, which will give Kalli a spontaneous smile. Dr. Azizzadeh surprises Kalli on the show! 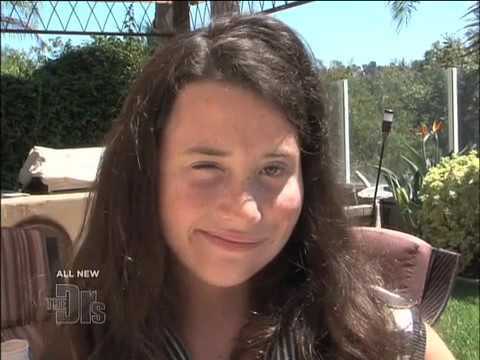 Watch Gracie’s journey through her facial paralysis treatment. 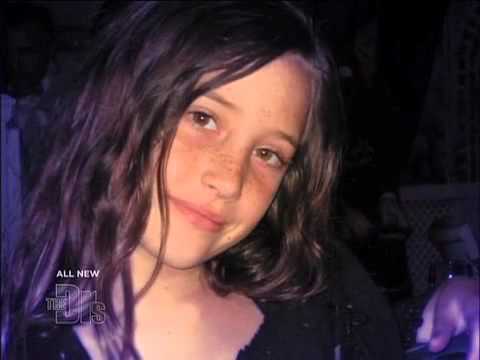 At 9 years old, Gracie experienced a cavernous hemangioma, a normally benign lesion on the brain, which began to bleed. The bleeding caused Gracie to have stroke-like paralysis on the right side of her body, paralyzing her facial movements. Dr. Azizzadeh performed a series of surgeries to give Gracie her smile back! 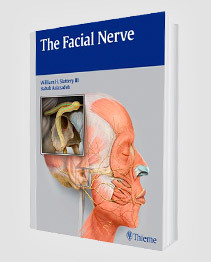 Together facial nerve expert, Dr. Azizzadeh, and his partner, Dr. Babak Larian, a a parotid surgery specialist, explain how to preserve the facial nerve during a parotidectomy. The patient Sandra discovered a lump on the side of her face and soon found out it was a parotid tumor. Because the facial nerve, which is extremely delicate, passes through the parotid gland, Sandra knew she needed to find a team of expert surgeons with great knowledge of the facial nerve. Dr. Azizzadeh’s and Dr. Larian’s multi-specialty approach to parotid surgery provided Sandra with the best possible outcome, as the entire tumor was removed while saving the facial nerve and her facial movement. 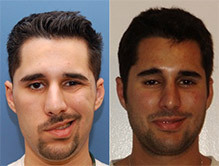 Dr. Azizzadeh and Dr. Larian take a minimally invasive approach to remove Jeff’s parotid tumor. Together, the surgeons successfully removed Jeff’s parotid tumor, while preserving the facial nerve and performed facial reconstructive surgery so that Jeff’s facial appearance looked just as it did before his tumor developed.